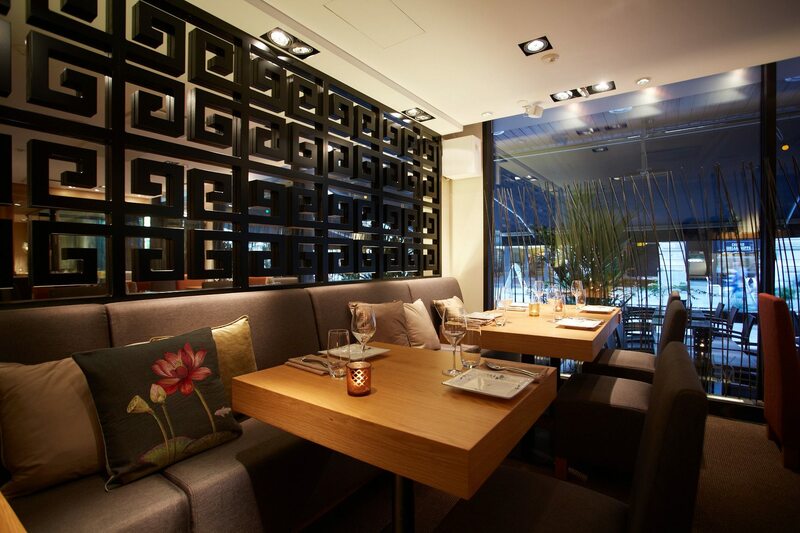 This Asian restaurant located in the same building with Hotel Kämp (one of the hotel’s restaurants) has been my favourite from the moment I walked in for the first time in the Spring of 2015. I’m not even saying that Yume is my favourite just in Helsinki, because it’s my favourite in the whole world! Telling you what the menu includes is pretty pointless, because they keep changing it according to the seasons, but there is at least one staple food that they never get rid off, because all of their regulars have explicitly told them to keep it – the Thai Pork Ribs. Anyone who has ever tasted them says they are the best ribs they have ever had. It’s hard to argue with that. In addition to the ribs my personal favourites are their different sushi rolls (you can expect the ordinary kind and also some that have a lot more variety) and also the Hot Stones -portions with for example beef, tuna and tofu that you can fry on the table yourself by using a hot stone. Food itself isn’t enough to make a restaurant special, so of course there has to be something else to it. The staff is the best of the best. They are really professional, but warm and friendly at the same time. They always remember our allergies and preferences immediately when we come in and they treat us like friends. I love going here each and every time because of the hospitality. I’ve tried burgers in Helsinki in many places, but I rarely get the feeling that I need to return to those places to have more. That cannot be said about Naughty BRGR however (sorry, webpage only in Finnish), because I’m actually ordering takeout from there approximately 4 – 6 times a week (yeah that’s a lot). At the moment I happen to be on a diet, which doesn’t allow carbs that much, so I’ve found the perfect food in the form of a protein style burger, which is wrapped in lettuce instead of a bun. This restaurant’s approach to food is simple and delicious, but don’t expect to go here for a fancy candle lit dinner for two. Naughty is for eating, not for long talks about life. The sweet potato fries are best I’ve had and my current favourite burger has got to be the Cuban Frita with hotsauce, a fried egg and a beef patty… or two. Remember that you can add more meat and bacon into your burgers if you so choose. At first I came for the cocktails, but then I found the meat. Grotesk cocktail bar is absolutely one of my favourites, but I’ve also started to realize the great food of their restaurant. It’s meant for meat eaters, so in all seriousness I wouldn’t recommend this for vegetarians. The meats are delicious and tender, the service is good and the price is right, so what more could you ask for? Oh, and don’t forget the amazing cocktails and the best “normal” fries in town (three times fried!). Just went there a week ago, had a nice steak, some sparkling wine and a GT – paid 55€, so not bad. And the service was excellent. Also note that at the moment Amex Platinum members are getting a free bottle of wine, but in the future it might change for a discount percentage of the end bill or something similar. 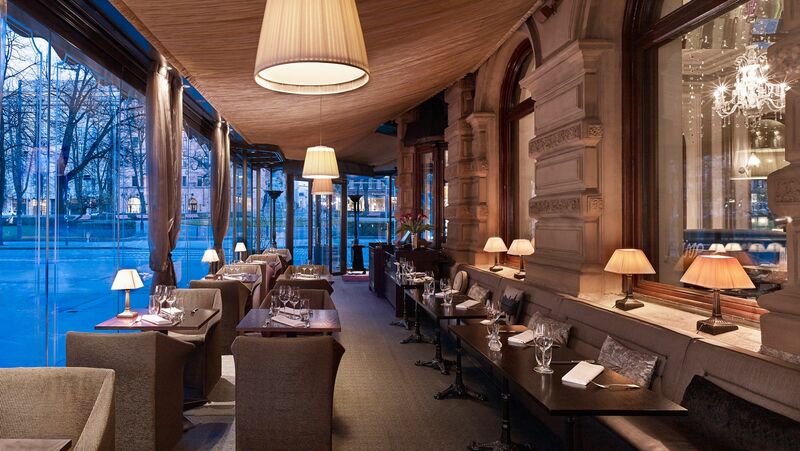 And here is another entry from Hotel Kämp, but this time it’s their French brasserie -style restaurant. I happen to like many items on their menu, especially the Kämp Burger, but they also have something I usually don’t eat anywhere – great salmon soup. Also if they happen to have waguy-beef on the menu, like they sometimes do (unfortunately pretty rarely), take it! 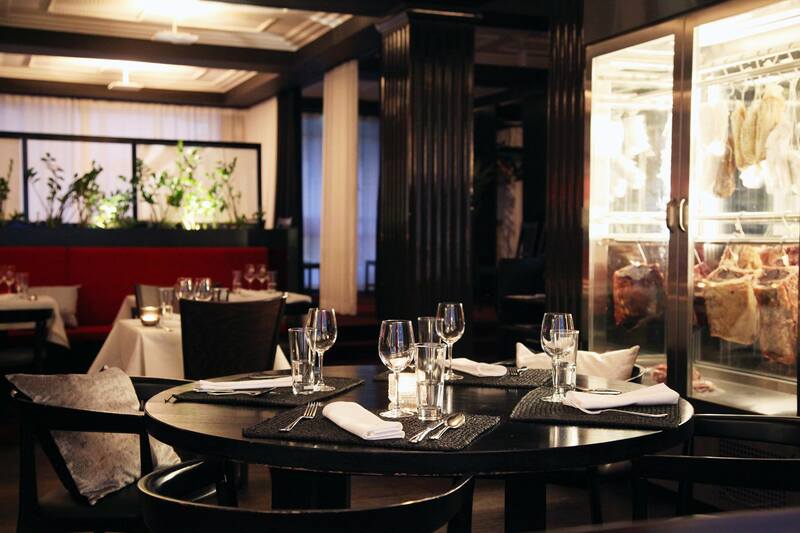 This restaurant is not all about the food and great service, but also the special ambiance. It feels like being transported back in time and place into Paris or somewhere in Middle Europe. I also choose a table next to the big glass windows on the terrace, so that I can watch all the people and occasional beautiful car pass by on my favourite street in Helsinki, Pohjoisesplanadi. I often come here to write my blog, because I know I won’t be disturbed, I get great service and at the same time good food and drinks. Oh Yume, yummy yummy Yume! How much I’d love to have dinner there every night! I still haven’t been to naughty burger, simply because I don’t really enjoy burgers, but if there’s a veggie option I shall give it a try! I know that feeling! But at the same time I wouldn’t want to eat at Yume all the time, because then it wouldn’t be special anymore :). Naughty has got a Shroom burger, which hasn’t got any meat and at the moment they have a goat cheese burger without meat (don’t know if that goes into the veggie category, because it has cheese). You should try it :). Thanks for the comment!